Vitamin B12 may be prescribed by your doctor for a number of reasons. Most medical professionals do not recommend injecting yourself due to the difficulty of going deep enough into the muscle, and the pain involved. If you do have to inject yourself, or have a family member inject you, find out the best places to do the injecting. B12 is injected intramuscularly, meaning the shot has to be placed in muscle tissue. The easiest place to inject vitamin B12 if you are injecting another person is the buttocks, which provides a large enough muscle mass on most people to handle the injection. If you are injecting yourself, the upper thighs 6 - 8 inches from the leg crease in the middle section of the thigh is the easiest place to inject. This is also the best spot for injecting into someone under 3 years old. Store the B12 in a cool room between 59 and 84 degrees F. Do not refrigerate. 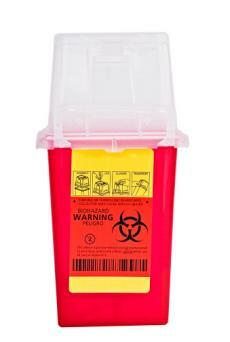 Dispose of your needles in a sharps container and speak to your doctor's office about where to surrender the container when it is full. Keep the B12 and the needles well out of reach of both children and pets. Your doctor, a nurse practitioner or a registered nurse can teach you how to administer the injections by yourself. 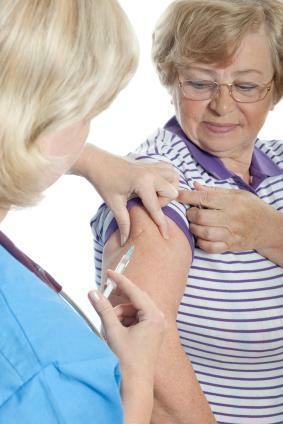 You may find you need to rotate the injection site over time to prevent scar tissue build up. The injection site may feel sore for several days. If you have any questions about this, talk to your health care provider.